Watched “A Million Ways To Die In The West” with my buddy Kalle today. I have to say that the punchlines line up with a brutal pace, and you can sense that the inspiration is partially drawn from Monty Python and Mel Brooks. The cast (Liam Neeson, Seth MacFarlane and Charlize Theron can be seen on the DVD cover, but there are plenty more talent in this one) is brilliant. The jokes are often visual, some quite brutal. But you have to laugh at the craziness of it all. Charlize Theron is fantastic as a gunslinger in this one, somebody needs to give her a chance to repeat the role, perhaps in a more traditional western. All in all, you will be entertained. 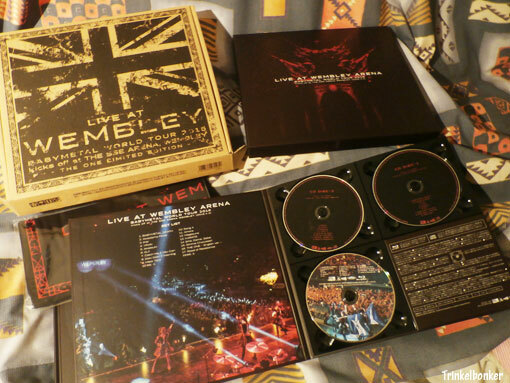 Managed to secure a copy of the rare Wembley 2016 box by Babymetal, issued to the members of the Fan Club called The One that year. These boxes are awesome in every way, you do get value for money. And they will only get ever more expensive on the second hand market (like eBay). 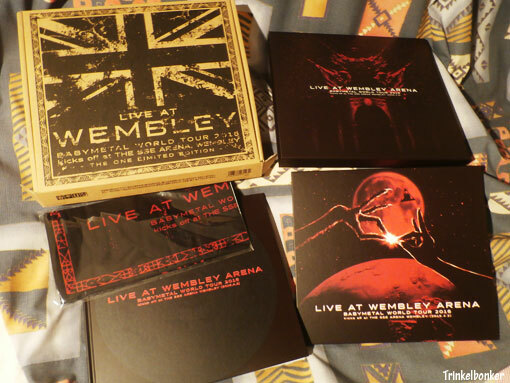 What you get is the April 2 2016 concert at the Wembley SSE Arena in London on two CDs and the Blu-ray from said concert. Now the CD is out in Europe, but the Blu-ray/DVD is not (although I do own it). What really makes this box super exclusive is the amazing photo book with fantastic shots from this gig (most of them by Dana “Distortion” Yavin). Needless to say, this is pure gold. It was a spectacular show and Dana captured the very essence of what they are on this night. The magic of classic Babymetal in full flight. I hope Dana publish a Babymetal photo book of her own some day. She was there as early as 2014 when Babymetal performed at the Budokan in Tokyo, and later on Stateside and elsewhere (Paris etc etc). I predict that the upcoming tv-series Project Blue Book will be a massive success. It premieres on the History Channel on January 8. Watched the Norwegian WWII movie “Den 12:e mannen” (“The 12th Man”) on DVD the other day. Based on a true story, it tells the tale about the sole survivor of a Norwegian Commando team on his efforts to reach the Swedish border (and safety). This took months and the Germans tried hard to get him. I recall seeing a documentary about this many years ago. Amazing story, great film. In a sane world, this film would be rewarded with an Oscar or two. Managed to secure a copy of the ultra rare Babymetal (Fan Club/The One) six Blu-ray box “The Fox Festivals In Japan 2017” on eBay. Six shows in all. I had a lot to do this weekend so I have only seen the first concert as yet, but man was it great! Spectacular show. Five to go. I guess Christmas came early this year. Have not seen Terry Jones “Erik The Viking” (1989) in decades, but as it has just seen a much appreciated DVD release in these parts (Sweden) I will soon correct this. I do recall enjoying this film back in the day.